Height 177cm, Width 89cm, weight about 400 Kg. 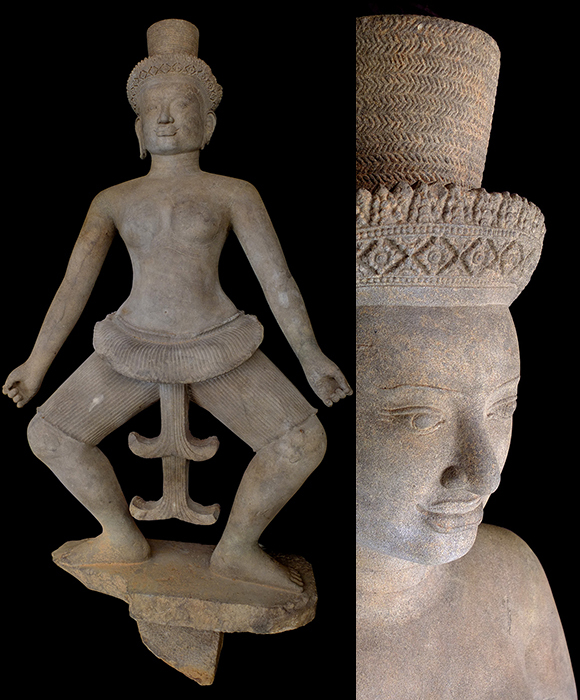 Description: This statue of Deva dancing represents a particular aspect of Shiva's Sakti within the highly complex Shivaite iconography of Koh Ker. The Devi stands on a pedestal bearing two feet in a dance position and her hands in the gesture of a female dancer. The Jata presents the locks hair which are braided and arranged in horizontal layers which is characteristic of the Koh Ker period.